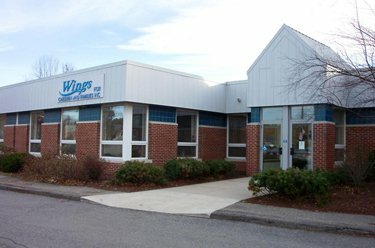 Wings largest office is in Bangor, Maine, and serves a wide area, including Penobscot, Piscataquis, and Hancock counties, as well as some bordering communities in Waldo and Somerset counties. Most of the administrative staff is located in the Bangor office and they are committed to supporting the case managers as much as possible to provide the best service for families and children. The Bangor office has a large conference room and is where the Board of Directors usually meets. All of Wings offices are connected through a variety of communication medium, including a Polycom system so we can provide training to all staff with audio-visual equipment. Wings is truly a family – and we value yours! Our Intake department is located in Bangor, and you will always get a caring voice when you call for services. To make a referral ANYWHERE in our service area, call 1-800-823-2988 and ask for the Intake Department. You will usually talk with a person who also parents a youth with special needs and has received services on their behalf. They understand what you are going through at many levels and will guide you through the process and answer any questions you have about case management services.